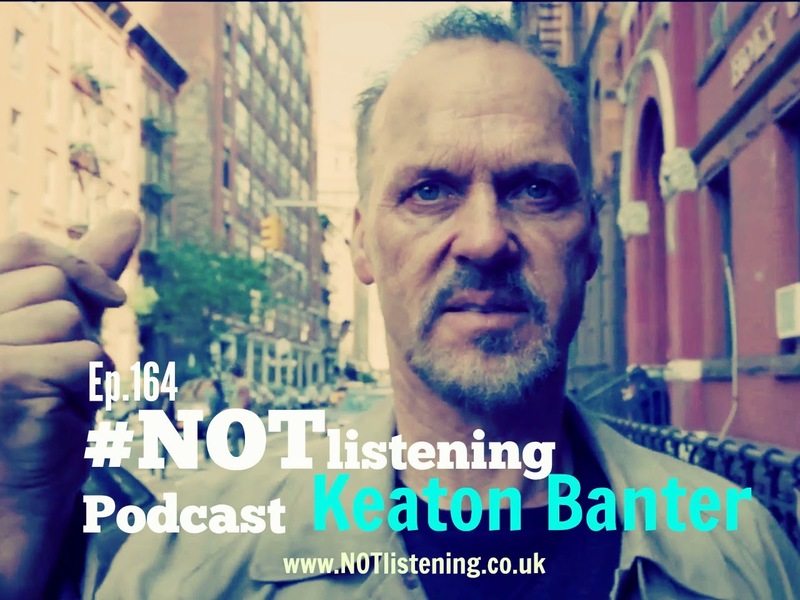 Ep.164 | #NOTlistening Podcast - Keaton Banter We Are BACK! Back with the Dreaded Banter! The #NOTlistening Podcast is OFFICIALLY BACK! we have had a good few months break from regular podcasts whilst we had other commitments and also thinking up new ideas to keep the podcast fresh and innovative. Over the 3 years that the podcast has been going, it has gone through many changes and formats. We started off as a simple chat-a-thon podcast with myself and Billy, then moving into myself and Will and adding Ash. We have experimented with segments and ideas that have worked and some that have fallen flat on their face. A While back we decided to shorten the show length to roughly 30-40 mins per week and focus on quality content. This helped us in writing and coming up with ideas with a great angle, twist and purpose. The #NOTlistening podcast is a "comedy" enterprise that co-exists with the website. We aim to bring you entertaining and comedic content as much as we can, whether we succeed or not is down to your own views I suppose. BUT, we are NOW back to a slicker, fast paced and structured Podcast that features Humorous Chat, entertaining sketches, Laughable characters and intriguing trivia. - Will get's annoyed by the term "Banter"
- We look back at the Movie "Beetlejuice"